There’s an incredible amount of nonsense written about roulette computers, mostly from dishonest roulette computer sellers. Some is written by people trying to get traffic to promote online casinos, although they’ve never even seen a roulette computer. It’s easy to find interesting but inaccurate articles, and hard to find the truth. This website has everything you need, including ways to verify facts for yourself. Some of the roulette computers sent to me by unsatisfied buyers. Each of these use similar algorithms that do well on old and worn wheels, but have very poor accuracy on modern wheels that are in good condition. Roulette computers are hidden electronic devices that predict where the ball will land to win at roulette. Basically they measure the speed and deceleration of the wheel and ball to predict the winning number. They can be built into many electronic devices such as mobile phones. The image at the top of this page shows some of the computers I was sent by purchasers. After all, one way of knowing if a roulette computers is effective is by purchasing it yourself. And that’s exactly what many serious players do, although it’s an expensive way to go. If you visit me in person I can show you these and other devices. For a roulette computer to predict the winning number, it must know the ball and wheel speed. The speeds are usually calculated by the player clicking a hidden button each time the ball and green zero pass a reference point on the wheel. For example, if the player was measuring the wheel speed, they’d click the hidden button when the green zero is at a particular diamond (metal ball deflector). Then they’d wait for the wheel to complete a full revolution, and click the button again when zero comes around to the same diamond. This would give the roulette computer a wheel (rotor) timing of something like 3000ms (3 seconds for a revolution). The same is usually done for the ball. And multiple revolutions can be timed to reduce errors and improve accuracy. So basically you just click a hidden button as the wheel and ball go around, until the computer gives a prediction. The predicted number can be sent to the player with a variety of methods. 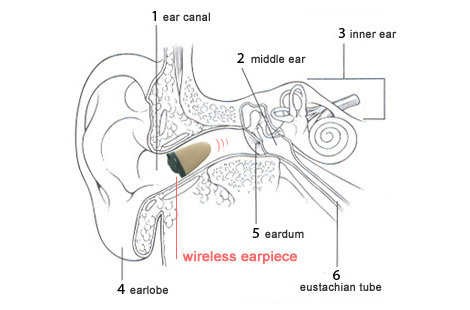 The simplest for the player is with a hidden wireless earpiece, such as the one in the image below. The wireless earpieces are most popular, but the player can also be told where to bet with discrete vibrations. 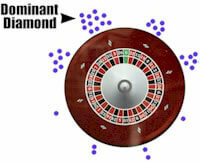 For example, the roulette computer may vibrate when the predicted number passes a particular diamond. Or perhaps the vibration may occur when the ball is above the predicted number. Do They Work In Modern Casinos? The best page to answer this question is at https://www.roulettephysics.com/do-roulette-computers-work-today/. But basically YES they still work today, and very well. Assuming the roulette computer can accurately predict, the only real limitation to what you win is how well you avoid detection. Because if casino staff suspect you of using a computer, they’ll do something to stop you one way or another. Whether or not the computer is effective depends on the computer’s design, and the wheel you play on. It is very easy to create a simplistic computer that only beats easily beaten wheels. And easily beaten wheels are what you see in the demonstration videos provided by roulette computer sellers. But it takes a trained eye and analysis to recognize the difference between an easily beaten wheel, and one that’s more like modern wheels in real casinos. There are many variables that determine how easily a wheel can be beaten, if at all. Generally there are two main types of wheels that roulette computer sellers refer to. These are “titled” and “level” wheels. Alternatively, the ball may hit each diamond just as often as others. This is called a “level” wheel. An un-level surface is only part of what may cause a “dominant diamond”. In fact, the primary cause of dominant diamonds is ball track imperfections. For example, because of where the dealer releases the ball, the ball track may become more worn at some parts. The resulting effect is the ball will come off the ball track and fall at some points more than others. And if you know where the ball will at least fall most of the time, you have the beginnings of a strong advantage. If the ball didn’t bounce, then all you’d need to know is the number under the dominant diamond at the approximate time the ball will fall. And it’s really quite easy to know this with reasonable accuracy, especially if you know the approximate speed and deceleration rate of the ball. How Many Wheels Have Dominant Diamonds? Almost every wheel has a significant dominant diamond. You can check this for yourself at your local casino. So why aren’t all wheels very easy to beat? This is for a few reasons, with the main being the ball will still bounce unpredictably. Only advanced computers are able to solve this problem. This was a live webcam demo conducted on 31st January 2013. Predictions were about 15 seconds before the ball falls on a modern Mk7 Huxley wheel. An edge of +28% was achieved, which enormous considering the normal edge against players is just -2.7%. Anyone can attend my live demonstrations, but only players with actual intent to purchase see demonstrations exhibiting the full capabilities of my technology. Every jurisdictions has different laws. Contrary to popular belief, application of these devices are actually legal in approximately half of jurisdictions. This is because most laws only state that the spin outcomes can not be influenced, but nothing is said about merely “predicting” spin outcomes. Regardless of them being mostly legal, no casino will tolerate them. A casino is private property and a casino can ask you to leave for any reason. This is why roulette computers are used covertly. If you want a list of no-nonsense approaches that beat roulette, see this article (click here), which includes a free roulette system that works. Anyone with basic electronics knowledge can develop a simplistic roulette computer for $50, create a website to sell it, and call it the best roulette computer money can buy. There are several device you can buy, but most are either scams or are ineffective on modern wheels. Nevertheless, of course the vendor will claim their product is best, so you must do proper research. The best way for you to understand which device is best is to understand how they work, and what each device does and why. This site thoroughly explains everything you need to know. Once you have read and understood all material on this site, you you can decide for yourself. You can also see the roulette computer comparison chart. Do The Casino Staff Ever See The Roulette Computer? The devices are concealed and operated with a hidden switch – competent application is completely invisible. Again no casino will tolerate consistent winning if a professional player is noticed. However, it is in fact quite easy to earn a substantial income, without the casino ever knowing you are using a roulette computer. Although its not to say it wont happen one day, none of our players have ever been caught using our devices. This is simply because they use extremely sophisticated hardware that makes them invisible to electronic casino surveillance technology. Upon receiving and testing the computer, you’ll quickly learn what you win is not a matter of what is “possible” – it’s more a matter of remaining undetected, because if you are detected, you may be banned from the casino. However, the idea is to earn relatively modest amounts, and to spread winnings across multiple casinos, to avoid detection. How to avoid detection is a large part of what we teach you. The Hybrid and Uber versions can be applied at some online casinos. However, online casinos are more sensitive to large wins than regular casinos, so they tend to quickly start calling no more bets before the ball is released. After some large wins, some online casinos now call no more bets before the ball release. So we don advise purchasing a roulette computer only for online application. If you only want to play online, I recommend the JAA system at roulettephysics.com. 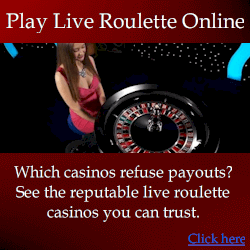 You can also see a suggested roulette strategy for online casinos here. Do All Computers Beat Modern Wheels? Beating modern roulette wheels requires more than simplistic technology. Roulette wheel designs have changed, and beating them is far more complicated. Some unscrupulous sellers knowingly sell ineffective devices that only beat older wheels. As with most things, you get what you pay for. Some devices can indeed earn you a sizable income, but most only ensure you lose your bankroll while getting you caught. In addition to developing our own technology, we have acquired numerous other devices only to find they did not live up to the vendor’s claims. In this sense, buying such a device is no different to buying a roulette system or strategy – most are simply ineffective and the seller is blatantly dishonest. When considering purchasing such devices, great care should be taken, and never rely on a vendor’s word alone about either their own device, or that of competitors. See free professional roulette tips here. The tips are divided into sections based on player experience. 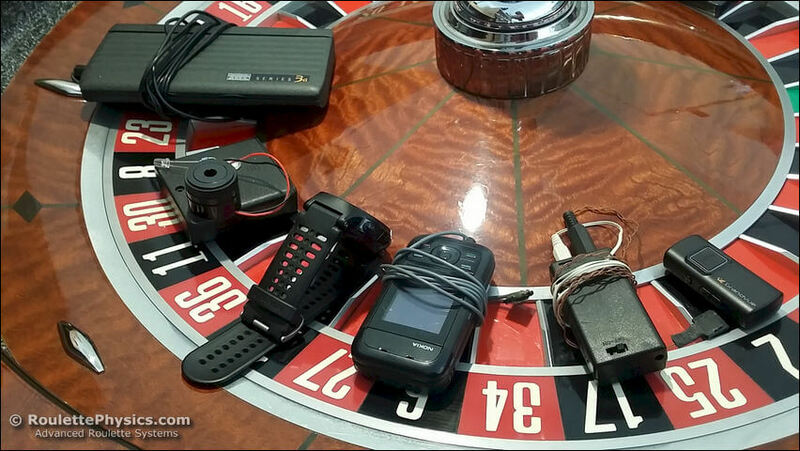 There are numerous roulette computer scams, so you must thoroughly research devices before purchasing. Also see reviews of roulette systems and strategies. The dishonesty of some sellers is relentless so you cannot simply believe what anyone publishes, either about their own products or others. The best proof you can get is in-person demonstrations. See Roulette Computer Scam warnings and https://www.roulettesystemreviews.com/mark-howe-predictroulette/ – You should see a personal demo in realistic casino conditions when possible, although even this doesn’t guarantee the computer will meet expectations because an inexperienced witness can be misled with “technical talk”. If you are scammed, be sure to report it. It’s important to understand who I am and my experience with roulette computers, so know I have proper experience. I’ve been developing roulette computers for approximately 10 years. I’ve developed approximately 15 different versions. Some are simplistic devices that can be hidden in watches or even pens. And some use a hidden camera and image recognition to automatically predict the winning number. To my knowledge, I’m the only developer to have created an automated roulette computer that uses a hidden camera. More about this computer is at www.hybridroulettecomputer.com. It is very, very different technology to a roulette computer you’d buy for $500 or so. How Do You Know This Website Tells The Truth? See a demonstration for yourself. This will make the truth very simple. See a demonstration in-person or via live webcam with all major roulette computers. Test them all for yourself and you’ll easily know which roulette computer work, and which don’t. Attend a public demonstration: If you are uncomfortable with 1-on-1 meetings, see a demo with a group of others. Or see a recording of a public roulette computer demo. Never rely on word alone. Anyone can make any claim about anything or anyone. Investigate claims and you’ll easily reveal deception. And if people lie about small things, chances are they’ll lie about important matters. Don’t believe posts on message boards: Fake reviews and impersonating customers of competitors is a common tactic of dishonest sellers. Consider the motives of people who publish information. Obviously a seller may not be honest about a competitor. If you only consider big headlines, you wont see the real story. But dig a little deeper and you’ll understand how factual information has been twisted to manipulate you. And this will show you more about the person who tried to mislead you.